For the last 22 years, based in Virginia, in the suburb of the US Capital, Alpine Armoring has been the leading supplier of a variety of VIP high level armored SUVs and Sedans for rental & lease clients. Capturing over 60% of the market, we have successfully met the growing requirement of armored vehicles among the Diplomatic community & UN throughout the United States, including Washington D.C., New York City, Chicago, Miami, Los Angeles, Boston, San Francisco, Houston, Seattle and other major cities. 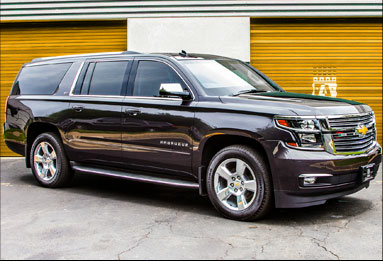 Alpine Armoring normally keeps a large inventory of new and certified high protection level armored Mercedes-Benz S Class (S550, S560, S600, Maybach), Cadillac Escalade (ESV), Chevrolet Suburban, Range Rover Autobiography, GMC Yukon Denali and many other well-known US and European makes & brands that are available with short notice at competitive prices. Alpine Armoring strives to make renting armored vehicles easier for our customers by providing a personalized and hassle-free experience, be it a short-term rental or a long-term lease. Our experienced rental consultants are here to answer all your questions and help you in choosing the right armored automobile that best fits every client’s needs. 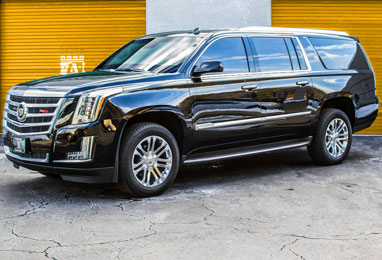 We have the expertise of having assisted our clients (numerous embassies & Government officials) with their urgent needs of renting armored cars in the United States. WHY CHOOSE AN ALPINE ARMORED VEHICLE? Alpine Armoring Inc. is a US owned multinational company known for manufacturing high quality armored vehicles for over 20 years. Alpine Armoring has pioneered the engineering and technology of armoring vehicles of all types. With meticulous attention to details and commitment to quality and service, Alpine Armoring has consistently set the standard for others in the industry to follow. This is our mission, our goal, our standard of excellence, and our promise to our clients. Alpine Armoring has maintained a perfect record in the manufacturing of numerous armored vehicles for its clients across the world. We are proud to say that not even a single incident of armor penetration has ever occurred on any of Alpine's armored vehicles sold and rented to well over two thousand clients. Competitive Pricing – Our customers can be rest assured that they will be provided with competitive pricing with special incentives for bulk rentals or long-term leases. Shipping to anywhere in the US – For your convenience we provide an option to have the vehicle delivered to the location of your choice anywhere in the US. Guaranteed on Time Delivery – We guarantee that the rental vehicle will be delivered at the agreed location on the date promised in a clean/ perfect condition. Based in the Washington D.C. metropolitan area, Alpine Armoring is the largest supplier of armored vehicles to the Diplomatic Community in the United States. 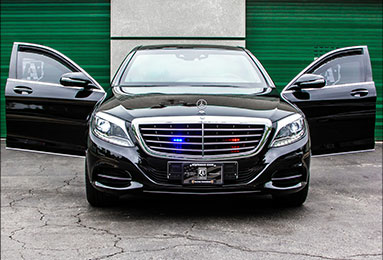 We serve most Embassies, Consulates, United Nations and various Government agencies throughout the US providing them with high protection level (A9/B6+ & A11/B7) custom-armored VIP SUVs & Sedans to meet their critical transportation needs.